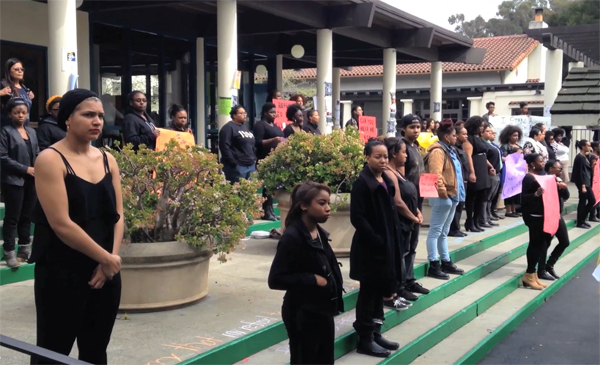 Black students, some of whom are members of the Black Women’s Collective (BWC), held a two hour silent protest on the steps of Adams Plaza on Wednesday, March 5 to demand accountability from Mills College for campus racism. A more detailed account of the events surrounding the protest will be in The Campanil‘s next print issue coming out on Tuesday, March 11. 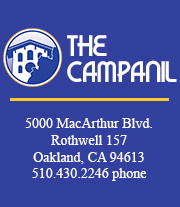 Check out our Storify timeline of The Campanil‘s tweets and photos of the event here. CORRECTION: The title and information in this post has been changed to reflect that the silent protestors weren’t all affiliated with BWC.